One of the nice things about my job is being able to take credit for interesting student projects. We’ve got an awesome pool of kids that are always doing stuff. They have cool ideas, write up a sloppy implementation and don’t want to maintain it. So it comes to us and we have the opportunity to polish it and expand it for use to a broader audience. The most recent of these projects to come along is the newly named “Harmony Lab”. 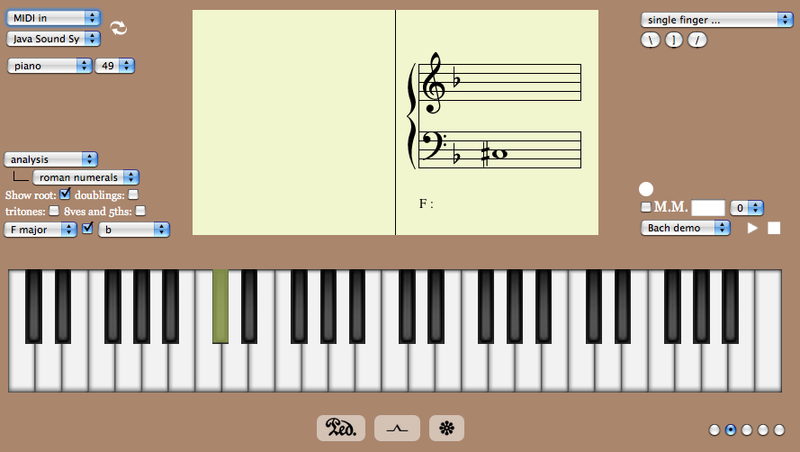 (Formerly GoFigure / Piano Lab) This is a nice application that allows you to hook up a midi keyboard to your computer and get information about music theory stuffs (and by “music theory stuffs” I mean I haven’t yet wrapped my head around everything the application does). 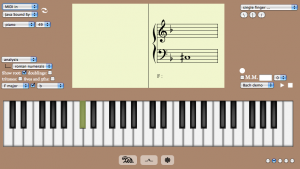 What’s cool about this is it’s a (potentially) simple application so it lets us play with (learn) something new (to us). So we went for python Django. It’s available on github from the start. Note: Opinion. This is something I’ve noticed/perceived in all positions I’ve held. Of course no one is paid enough money. Boo hoo, we all want more money. Although that is a nicely objective way to value employees, that’s not what this is about. This is about how software developers are perceived by (most) management. If a manager has a software developer and a project manager under them and they get conflicting reports/opinions from the two people, they will always go with the project manager. Management typically looks at a developer as an overly technical person, unable to understand client and business needs. So when a developer goes for a management position, they are shot down because they are “too technical”. (When someone gets turned down for a position in an IT organization because they are too technical, something is clearly wrong.) The perception of management is clear. PMs get the attention and typically the praise. PM ideas are seen as coming from a position that’s higher level because a developer works in the nitty gritty and doesn’t think in terms of high level. The truth of it is software developers come in good and bad the same as project managers. Some are really good and some are totally not. The problem is most management don’t bother to get to know their employees, so they don’t know who is good and who is bad so they make generalizations based on role. That’s bad. Of course you can now say I’m making a generalization about management in the same way. And you’re right. Massive Open Online Classrooms (MOOCs) made headlines in the New York Times again. Harvard University’s own venture into MOOC-space, edX, is mentioned, along with the usual suspects, Coursesara and Udacity. The challenges inherit in widening a traditional classroom to a global audience are breathing new life into the art of teaching and learning. Professors are finding that they need to reshape and rethink their instructional approach when teaching tens of thousands of virtual students. These challenges will be overcome with the help of the students themselves. For example, the crowd-sourcing of moderating discussion forums and of grading via peer-to-peer evaluation is becoming critical to running a MOOC. Peer-to-peer evaluation of assignments, such as essays, is permitting the MOOC to go beyond computer science and engineering, which were suited to automated, computer grading. Humanities courses are starting to jump aboard. There is, of course, still much to learn, especially about how well students learn in a MOOC. MOOC-space is young, wild, and untamed. 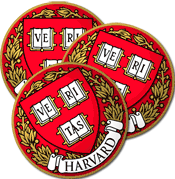 Badgered about badges: Will higher ed be shook up by alternative credentials? One of the big buzzwords circulating through the halls of academia has been “gamification,” the concept of introducing game-like elements into the higher ed environment. The NMC Horizon Report of both 2011 and 2012 indicated that game-based learning is a growing trend in the classroom, and just within the past month, articles in the New York Times and The Chronicle of Higher Education highlight an element of gamification that may very well disrupt the entire paradigm of attending a school to earn a degree. This new element is the digital “badge,” a possible foundation for what might be called the “alternative credentialing” movement. This movement is serious business. The Mozilla Foundation has established the Open Badges project, which, with support from the MacArthur Foundation, is defining the Open Badge Infrastructure, a technology suite that can be used to build an ecosystem of badges. The Digital Media and Learning Competition, sponsored by the MacArthur Foundation and the Bill and Melinda Gates Foundation, awarded several grants to institutions such as Disney-Pixar and NASA to explore the concept of badges in life-long learning. Prominent Universities, including Duke, Purdue, and Carnegie-Mellon, are also experimenting with badges. And badges will probably play a significant role in the credentialing process of the now ubiquitous MOOCs. The question remains, of course, as to whether badges will ever be considered as valuable as a regular degree. The jury is out on that one, and probably will continue to deliberate on this issue for years, if not decades, to come. But should the time come when a collection of badges on your resume is equivalent to a degree from a major University, prepare to witness a revolution in higher education.